Nick Dagan Best is an astrologer based in Vancouver, Canada. Nick began studying astrology on his own in January 1995, and then with a series of teachers with the NCGR in New York City from 1997-2000, earning a Level III certification. Nick has been collecting mundane and natal data for his own research database since 1999. Nicknamed “the human ephemeris”, he has the sign placements of every planet from Venus to Pluto memorized for any month and year from the 1770s to the present, thanks to his application of planetary synodic cycles to chronological history. 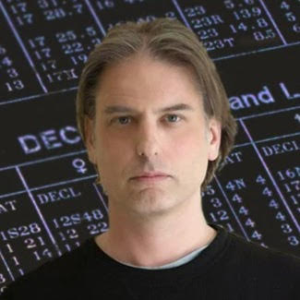 He has written articles for StarIQ.com, astrology.com, the ISAR journal, and his own site, nickdaganbest.com, and has also produced several short astrology-related instructional videos for his YouTube channel. A featured speaker at numerous conferences over the years, he currently hosts the I Love Astrology podcast.